What is included and excluded in the cost of the tour? Generally speaking your lunch, refreshments, alcoholic beverages and fuel are excluded from your tour price. In the unlikely event that we encounter a toll road en route, this will be for your account as well. Typically The Adventure Academy will create routes that require no more than 300km (190 miles) on dirt and 500km (320 miles) on tarmac per day to ensure that you get to experience the sights fully and can relax before sundown with a refreshing beverage at your lodging for the night. 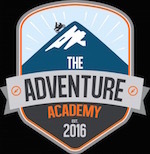 The Adventure Academy’s tours are graded on experience level from 1-3 and this will be advertised for you to make an informed decision. At times the route will split, allowing the more experienced riders to get their kicks on a level 3 grading while keeping the intermediate or pillion couples secure on a level 1 or 2 grading. Do I have to stay with the guide? This is up to you on the day however detailed GPS routes will be pre-loaded so that you can hang back or ride ahead of the guide and pace vehicle without worry. 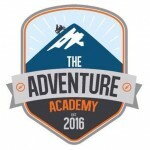 The Adventure Academy provides back up for all multi day rides and can assist with one small bag for the single cylinder bikes that have limited carrying capability. The balance of the motorcycles will all carry their own luggage. Can my non-riding partner ride in the support van? On occasion that your partner feels like a little respite from their helmet hair, the support vehicle is there for them. Obviously people with broken bikes or bodies do take preference. What else will we do besides ride? The Adventure Academy prides itself in offering entertaining adventures with plenty to see and do, however the emphasis is on seeing the area by motorcycle. During the rest days, you are welcome to take our advice of the best pastimes in the area or simply go as the wind takes you? On trips longer than 5 days we will certainly schedule a rest day in an entertaining location for a well-deserved break from your saddle and helmet. Generally we have a rest day after every 3rd day riding.